The S55 spray robot for your comfort! 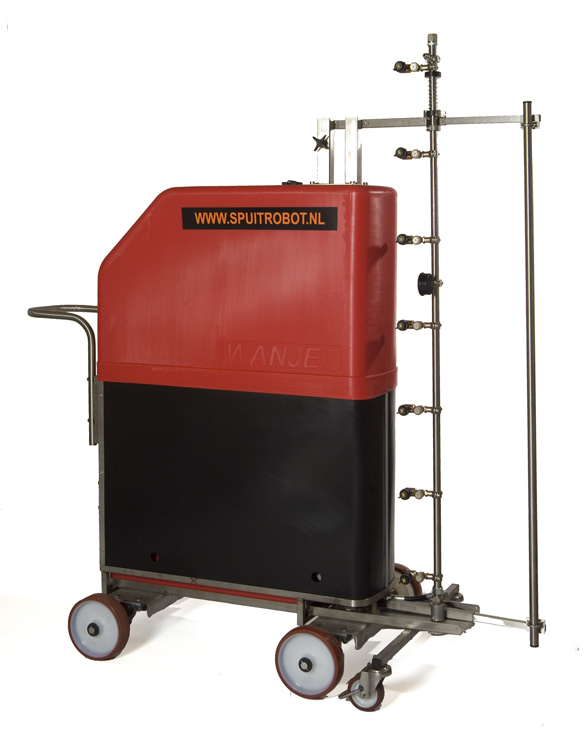 The S55 is a spray robot with batteries, made for automatic spraying. 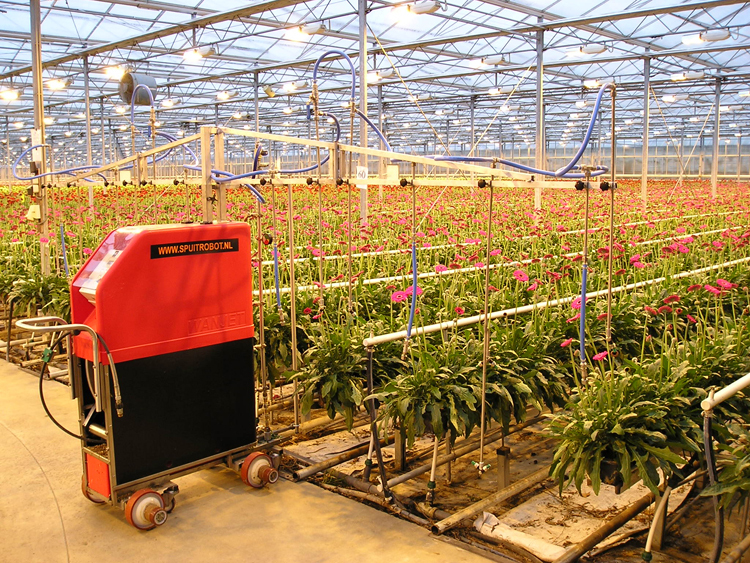 The spray robot uses the pipe rail system to move through the greenhouse. The robot is only 30 cm wide (excl. wheels), 170 cm high and weighs only 150 kg. You can buy the S55 as a half automatic as well as a fully automatic system.